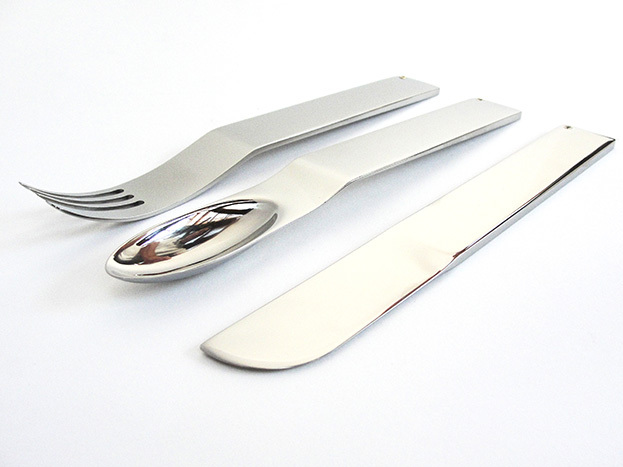 This cutlery set is from a collection of tableware designed to change our attitudes towards the standard dinner set, table landscape, and way in which we dine. The pieces within the collection appear very simple but have a huge amount of design research gone into both their design and manufacture. 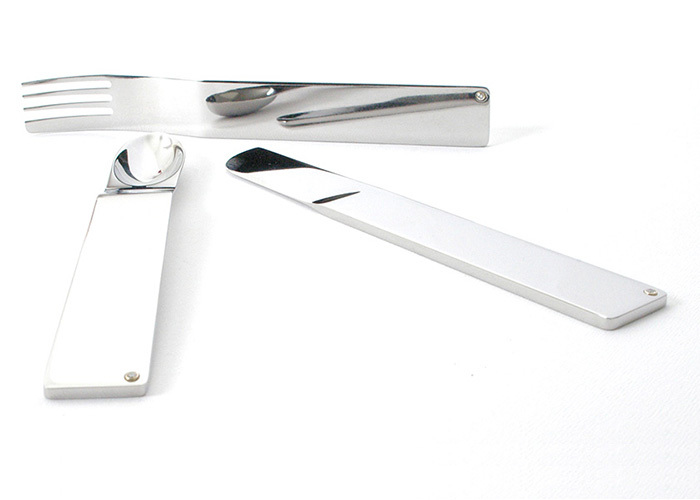 The cutlery set is unique in the fact that the knife fork and spoon are exactly the same length and width. By having stones set into each item, an element of preciousness, and a sense of belonging is introduced into each piece, creating the relationship that bonds the various pieces together to form the collection… Jewels for the Table. © Benjamin James Ryan 2017. All Rights Reserved.